salad dressing | Hot vegan chick.....peas! Happy Tuesday! 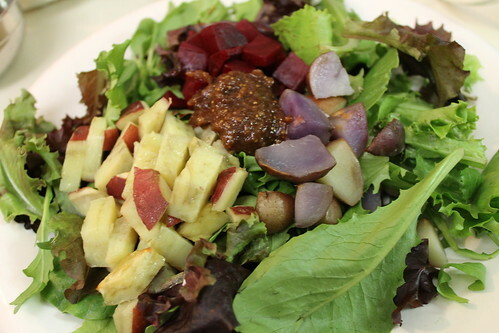 My fall salad post for the week is the autumn root veggie salad with maple fig dressing from Veganomicon. This salad feels fancy but it’s actually pretty simple — just field greens, roasted beets, sweet potatoes, and plain potatoes. It’s just kind of time- and dish-intensive. 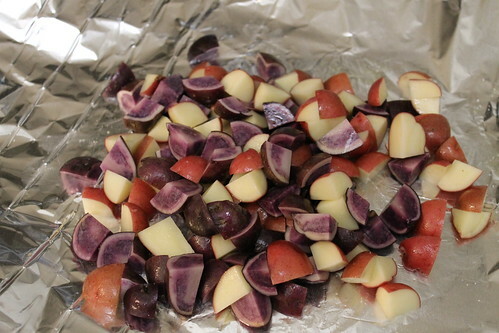 The beets are supposed to be roasted whole and the potatoes and yams are supposed to be boiled. 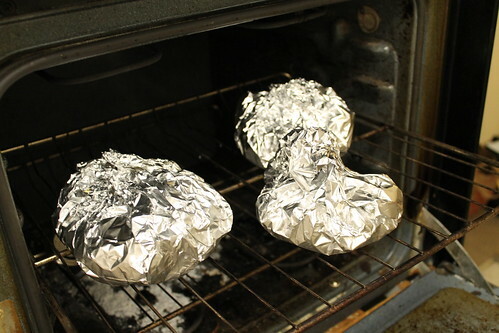 Well I just cranked up the temp in my oven, pre-chopped all the veggies so they would cook more quickly, and roasted them all at the same time in individual foil packets. It was so much easier (and less to clean up!) that way! Excuse my ugly oven. I had a pie spill its fillings a while ago and I kept the smoking down by pouring baking soda on top of the mess…which I still haven’t cleaned up! 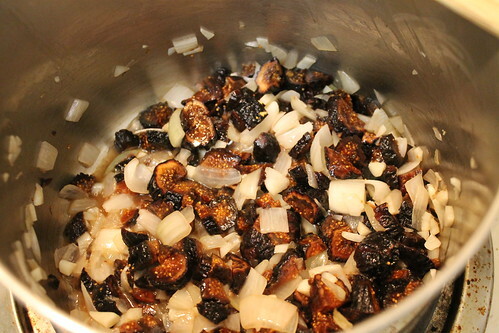 I pretty much hate making salad dressings, so this was my least favorite part, especially chopping an entire cup of sticky mission figs. 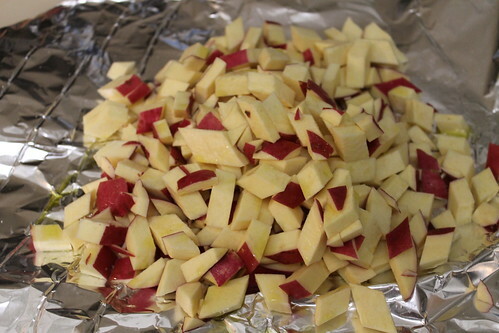 They get sauteed with onions and garlic, which smelled amazing, then the pan is deglazed with a little white wine. 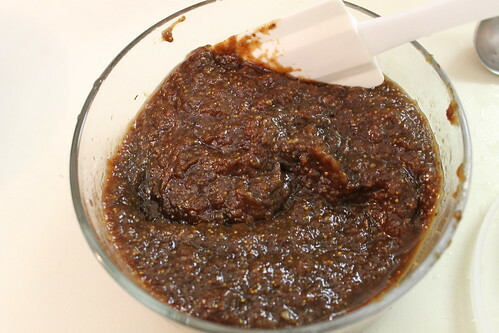 After adding some maple syrup, dijon, and balsamic vinegar, the mix gets a whiz in the blender to yield a really chunky salad dressing. I think it would also be a great dip or a veggie glaze. I hastily threw everything together into the final salad because I was impatient and hungry. So it’s not the prettiest pic I ever took but I love all the colors! And it was delicious to boot. There’s something to be said for adding feta to sweet salads like this and I felt like it would have been a good addition. I think I’ll have to root around for a vegan feta recipe before I finish up these leftovers.